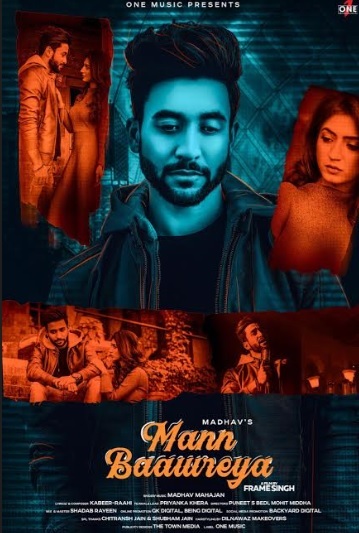 Indian singer-composer-music producer Madhav Mahajan getting lured his fans with his new Punjabi track ‘Mann Baawreya’. Madhav initially got attention with his Bollywood covers on songs like Naina from movie Dangal, unforgettable love mashup & enna sona from movie Ok Jaanu which became very popular on Facebook garnering more than 10 Million views collectively. In 2018, Mahajan debuted in Punjabi music Industry with his first single track "Blame' and later “Habit” which received rave reviews from Punjabi music Industry. In January, 2019 Madhav third song “Mann Baawreya” came which got tremendous response from all over India. His voice is soulful and deep which gets easily connected with his audience. With this song, Madhav has debuted as a music producer as well. Madhav is a doctor by profession. But considers singing and music as his passion & his first choice for career.